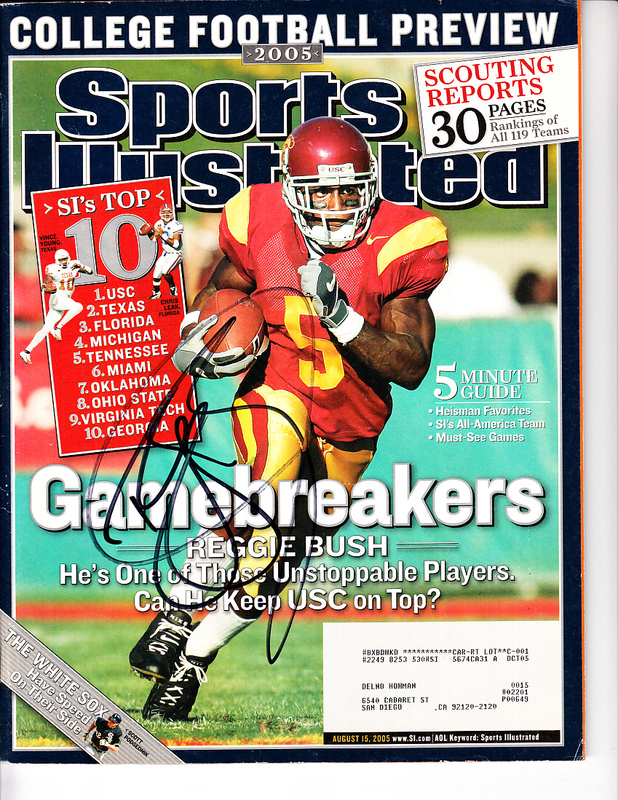 Complete 2005 Sports Illustrated magazine autographed in black Sharpie on the cover by former superstar running back Reggie Bush. 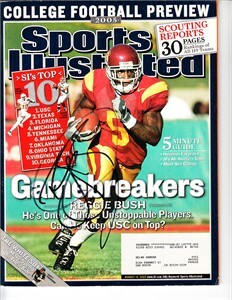 Obtained in person at celebrity golf tournament, with certificate of authenticity from AutographsForSale.com. Has minor handling flaws and wear. ONLY ONE AVAILABLE FOR SALE.